Thanks to Desi Auto Care's talented team and years of experience, we offer the best repair and service in Stratford, NJ. Give us a call or stop by today, and we will get to work right away for you! We go above and beyond in our service. Completing the repairs and maintenance is simply part of what we do. You can expect superior customer experience from the moment you enter our shop. 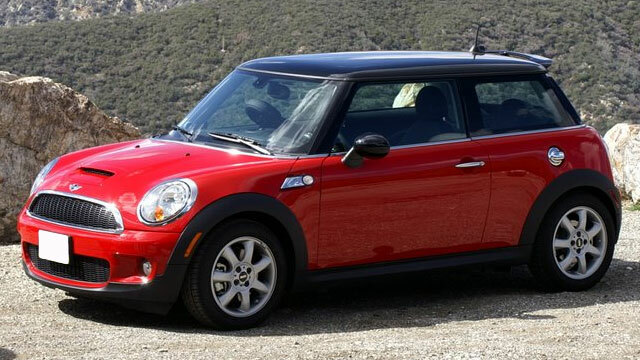 We offer complimentary pickup and drop off service to our local customers to make the process easier and answer all questions thoroughly as we take care of you and your MINI. 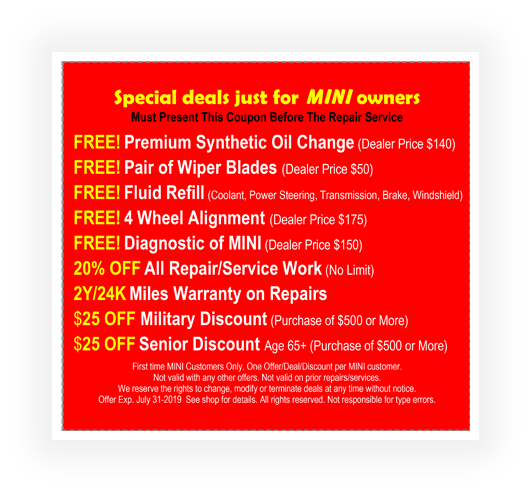 Call Desi Auto Care today at (856) 474-1213 to speak with our knowledgeable staff or stop in at 307 South White Horse Pike Stratford, NJ, 08084 so that we can schedule an appointment for your next MINI repair.